Dr. phil. des. Tom Bieling, design researcher, author and consultant was born in 1979. In his research projects he mainly focuses on social and political dimensions of design, and aspects of design for social innovation, interaction and inclusion. Tom is a visiting professor at Trento University, teaches teaches at NDU St. Pölten, has been a visiting professor at the German University in Cairo (GUC; Faculty of Applied Sciences & Art) since 2011 and teaches at GUC Berlin Campus (Product Design Department) since 2012. Most of all he is a Postdoc senior researcher at the Design Research Lab of Berlin University of the Arts (Institute for Product and Process Design), where he heads the “Social Design” cluster. He is Editor-in-chief at DESIGNABILTIES – Design Research Journal. In 2014 he was announced “Young Innovator of the Year” by the Falling Walls Consortium. 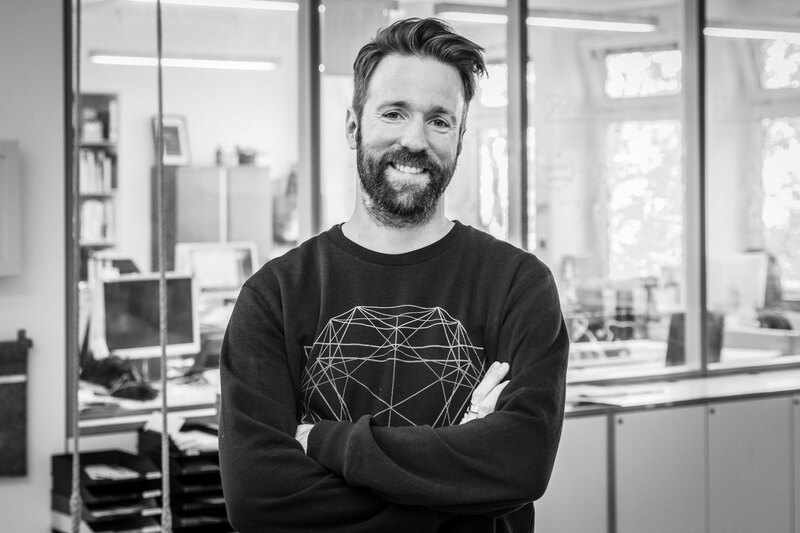 Before he moved to Berlin, for joining Deutsche Telekom Laboratories in Berlin/Germany in 2007, he studied Design at Köln International School of Design (KISD) at the University of Applied Sciences, Cologne (Germany) and Universidade Federal do Paraná (UFPR), Curitiba (Brasil), where he already focused on the impact and relevance of demographic and socio-cultural categories on form and practice of design (process), as well as its effects on usage and practical use of design within these categories. He has held numerous guest lectures and run workshops at international universities (e.g. Mumbai, São Paulo, Cairo, Basel, Milan, Portland, Spokane, Edinburgh, Brussels, Nottingham, Tallinn,Bozen/Bolzano, Trient, Bremen, Budapest, Dresden, Potsdam, Hildesheim, Eindhoven, Rotterdam). Exhibitions in New York, London, Berlin, Vienna, Manchester, Sheffield, Milano, Munich, Dresden, St. Etienne, Karlsruhe, Eindhoven, St. Gallen, Brno, St. Quirin, Darmstadt, Chemnitz, Paderborn and Cologne. In 2008 his book gender puppets was published. In 2018 his books “Design (&) Activism”, “Gender (&) Design” (Mimesis: Milano) and “Inklusion als Entwurf” (Birkhäuser: Basel) will be published. He is founding member of the Design Research Network and founder of the Institute for Applied Fantasies (Institut für angewandte Fantasie) and Co-Editor of the book series “Design Meanings” (Mimesis). Besides that he is head of the Ultràgallery, Co-Founder of the Civic Tech Lab at the Einstein Center Digital Future (ECDF), active member of the DGTF (Deutsche Gesellschaft für Designtheorie und -forschung; German Society for Design Theorie and Research), and passive member of the 1.FC KÖLN, the world’s most carnevalistic football team.